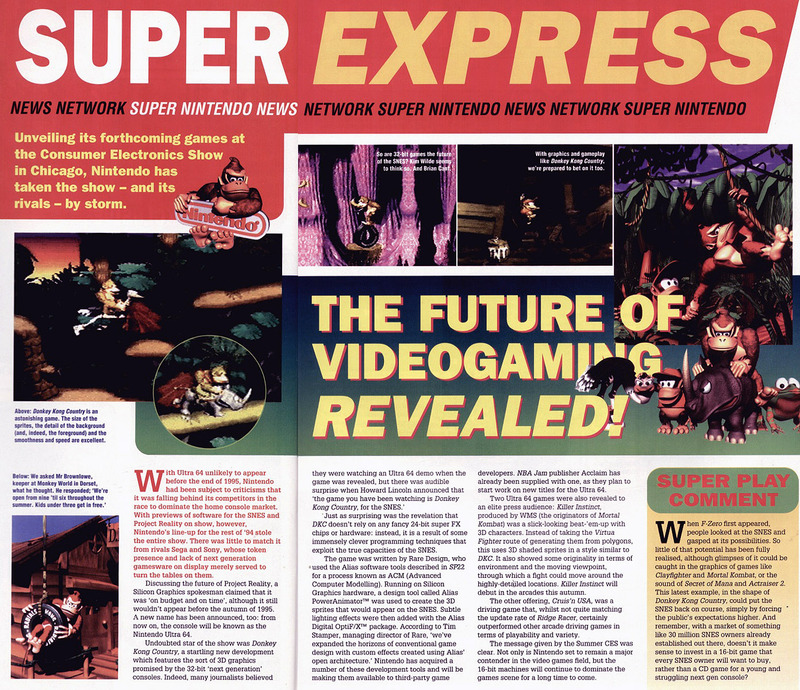 This time we're looking at Issue 23, which was in the August-September 1994 kind of era. Remember, if you want to view the pictures full-size you'll need to click on them first and then either choose to view the picture on its own or save it to your computer and view it from there. Otherwise the text will be too small to read. Sorry about that, Blogspot went crap sometime during last year. The big news! 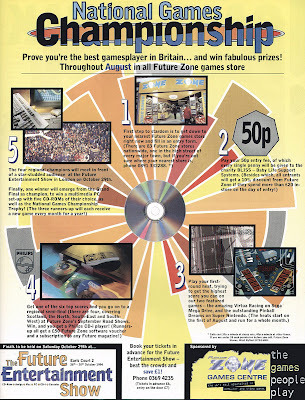 Funny how they say the Nintendo64 wouldn't appear before Autumn '95. Assuming they mean Northern-Hemisphere Autumn (which they usually do) they were still about a year off the Japanese and American releases, and about a year-and-a-half off the PAL release. No doubt about it, that thing faced some serious delays! Now THIS next interview is cool. Awesome, in fact! 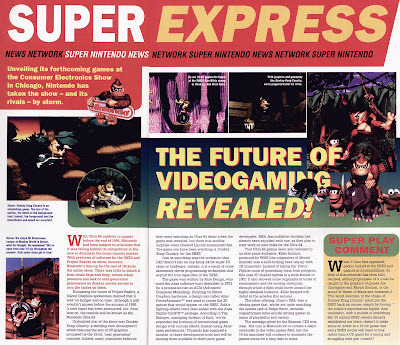 Super Play managed to score an interview with Ted Woolsey, the resident Japanese-To-English translator at Squaresoft. Some really interesting things spoken about here! The interview spans the next 3 pages. SO! Where to begin? He only had 30 days to translate the entire game? That's insane! (And he claims he played through the entire thing 3 times!) 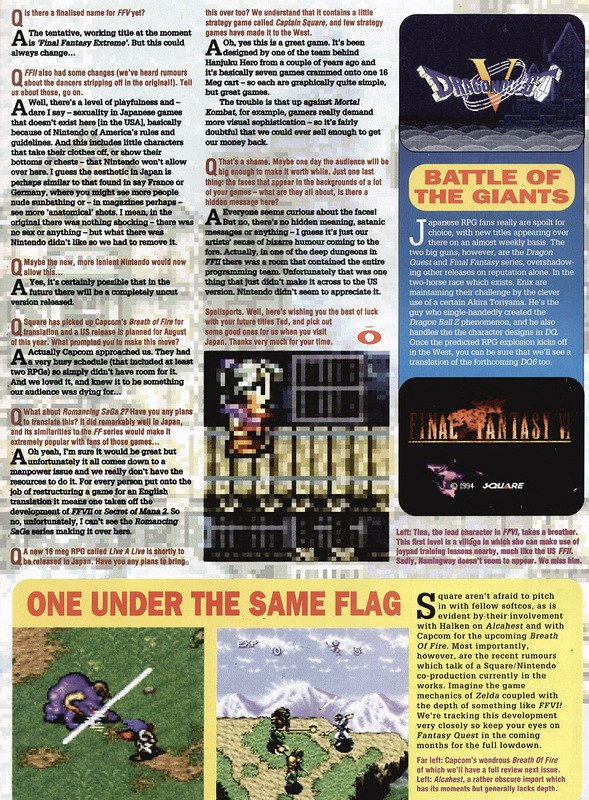 He makes mention of both Seiken 3 and what would inevidibly become Secret of Evermore. 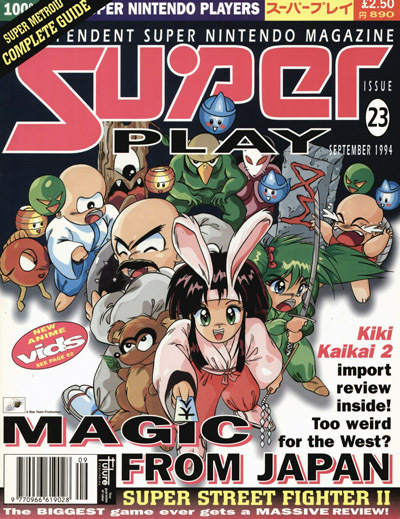 It's also interesting to think that Secret of Mana was supposed to be a Super Famicom CD game. The mind boggles as to what it might have been like with 650MB of space! I wonder if this is the only game that's ever been confirmed to be in development for the add-on. 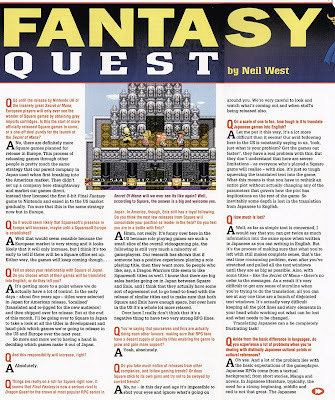 Another interesting concept is that odd-number Final Fantasies concentrate on enhancing the gameplay while even-numbered once are more focused on story. That's not the only time I've heard this theory, but I think it's since gone by the wayside. For example, FF8 and FF12 made much more drastic gameplay changes than FF7 or FF9 did. 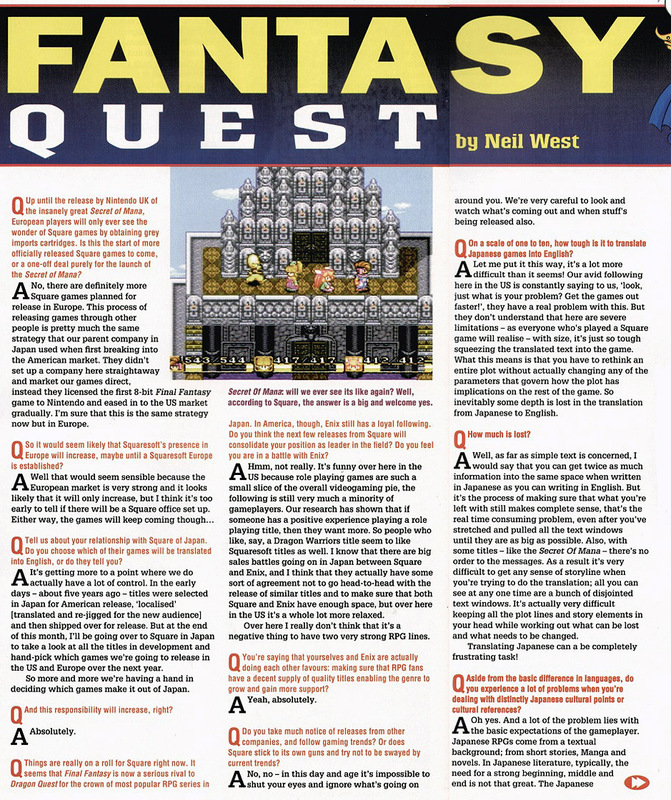 It's hilarious to think that FF5 was considered too inaccessible. 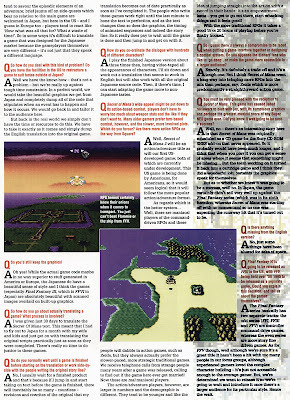 Compare it to the insanely complicated RPGs people are playing today, and it's practically child's play! I'm kinda glad "Final Fantasy Extreme" never happened. It would have been cool to play the game earlier than we did, but taking the number away from it just seems sacrilegious! It sounds like Ted might have also (perhaps accidentally) let slip that Square were working with Nintendo on a co-produced game. That would, of course, become Super Mario RPG. 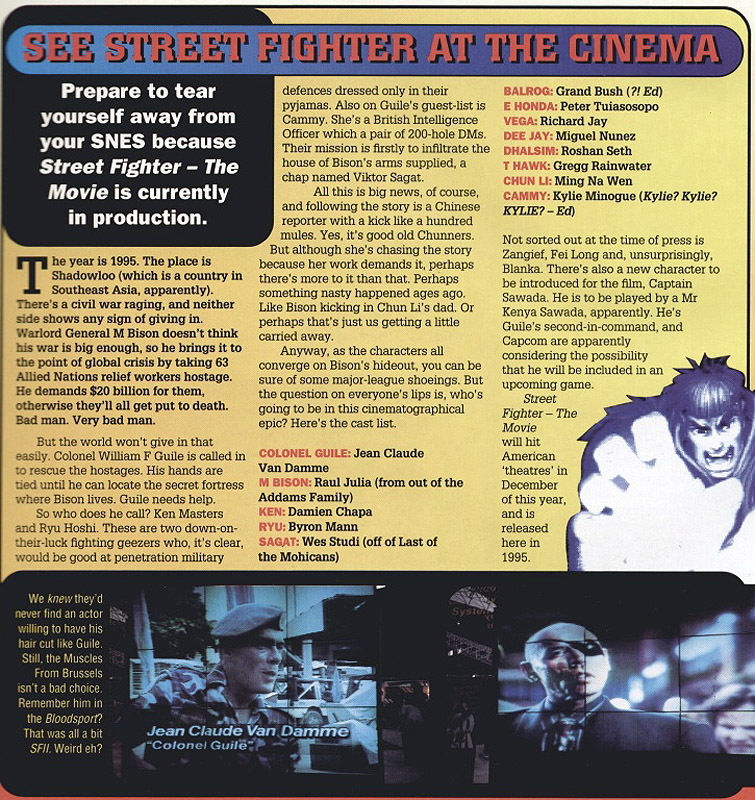 *shudder* I can remember leaving the cinemas after seeing Street Fighter and feeling like a piece of my gaming soul had just died. I just thought I'd include this because I found it funny. 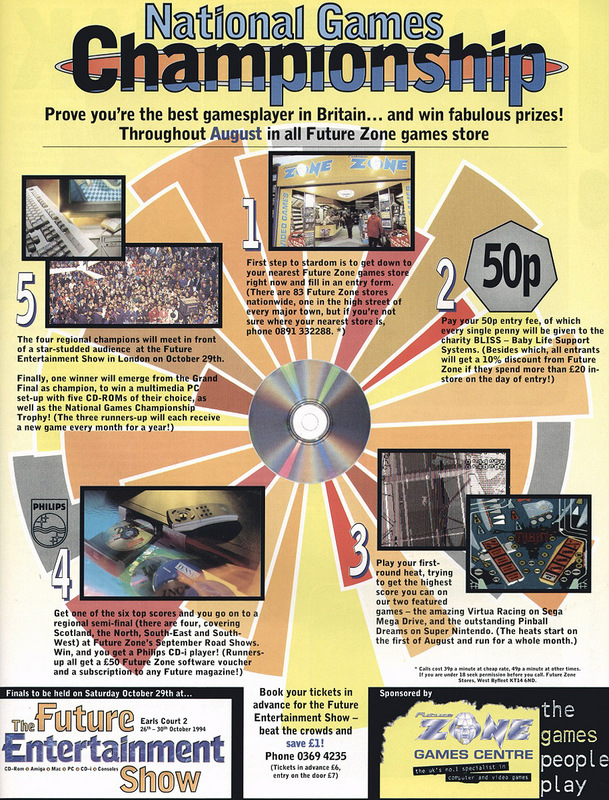 Virtua Racing I can understand being part of a big gaming competition; the game was very popular around this time, especially in arcades. But Pinball Dreams...? All the amazing Super N.E.S. games they could play, and they choose Pinball Dreams?? Hella lame. I hope the winner appreciated his (or her) new PC with *gasp* C.D. drive!! That's all for now. I just finished Secret of Mana tonight, so hopefully the next video should be up in a few days. Ciao for now! The years pass, the new video game consoles are created, but the old classic nintendo game never seem to be forgotten. Almost all children or even adults have memories of first play nintendo Entertainment System (NES), more commonly known as Nintendo.